Concord Mills Mall is one of the most popular shopping destinations in Concord, a town just outside of Charlotte, North Carolina. Concord Mills Mall is a 1.4-million-square-foot shopping mall that is touted as "the largest shopping and entertainment destination of the Carolinas." The mall has more than 200 shops, most of which are outlet stores and big brand outlets. Because of its high number of visitors, the mall is listed as one of the largest tourist attractions in Charlotte. The mall is open from 10 a.m. to 9 p.m. on Monday through Saturday and 12 p.m. to 7 p.m. on Sundays. Opening times may vary on select holidays. With more than 200 stores, restaurants and entertainment venues to choose from, the Concord Mills Mall can be a bit overwhelming. You can do about anything at Concord Mill's Mall including have your teeth whitened and get your watch fixed. It's wise to look up the store directory to plan out your errands. 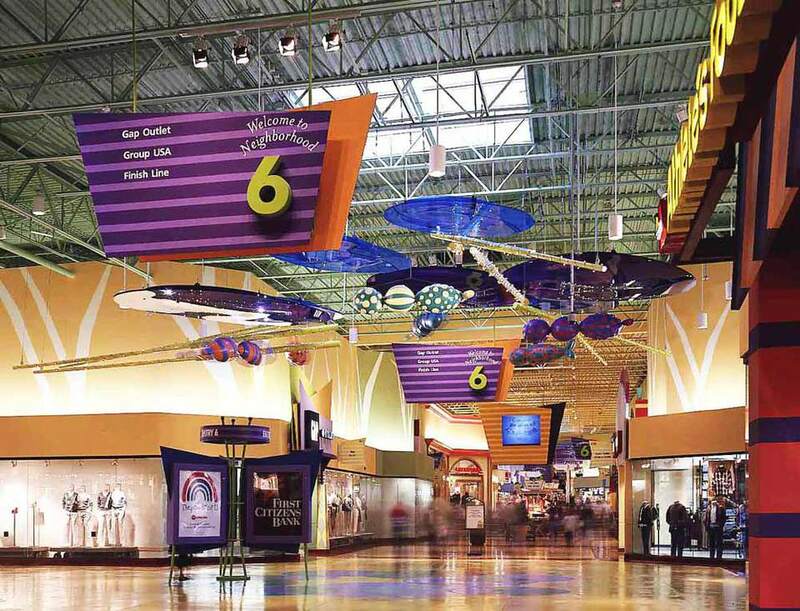 There's also an on-site AMC theater and a speed park, with go-karts, mini golf, monster truck rides, and a 110-foot slide for a little family-friendly entertainment after a day of shopping. There is a great variety of dining and fast food places at the Concord Mills Mall. In addition, the surrounding area has venues such as Tijuana Flats for Tex-Mex, Texas Roadhouse, and Aroma Indian Cuisine. Concord Mills is accessed via I-85 North and South at exit 49, Concord Mills Blvd/Burton Smith Blvd. The mall is minutes away from Uptown Charlotte and Charlotte Douglas International Airport. The address is 8111 Concord Mills Blvd, Concord, North Carolina.